Shopping center parking lots. Busy roadways. Corporate campuses. Lazaro Paving has the specialized equipment and experienced, dedicated crews to handle all types of commercial paving projects. Our size and versatility allow us to complete jobs ranging in complexity from repairs to full parking lot and roadway reconstruction quickly and efficiently. We understand the importance of minimizing the disruption to your employees and customers, and will work with you to develop a timeline and budget that works for your business. Contact us today to discuss how we can work with you on your next commercial project. Hill Company reached out to us to perform full-depth reclamation and grading to create a strong and lasting base layer for their large parking area. We then repaved their lots with two layers of asphalt suitable for a commercial parking lot, and then repainted the lot with a new and improved striping layout. In order to satisfy the client's need to minimize any disturbance to their business, we completed the work in just two days (Friday - Saturday). We worked with Carruth Capital to completely overhaul the parking lot, roadway and entrance at their commercial office space at 2400 Computer Drive. We installed a new drainage system and reclaimed and regraded the parking lot to provide a stabilized base course for new asphalt. We also regraded the parking lot to proper slopes and installed new granite curbing, a concrete sidewalk and wheel chair ramps to the main entrance, making the parking lot and entranceway ADA-compliant. Finally, we painted new parking lines according to plans. 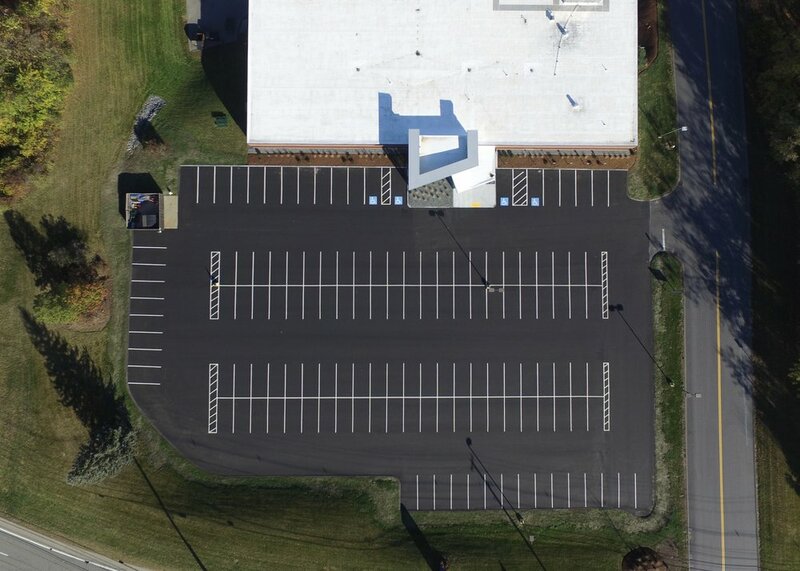 We also worked with Carruth Capital to rehabilitate the parking areas at their commercial office space loated at 14 Walkup Drive in Westborough. The work was completed in four phases in order to maintain 70% of the parking spaces available for tenant parking. Select areas of failure within the asphalt parking lot were excavated, unsuitable material was removed and 12 inches of new gravel base was installed, along with a new binder and top course pavement. The remainder of the lot was milled to a depth of 2 inches to remove the existing deteriorated surface coarse, and a new 2 inches of asphalt was installed. In addition, we made ADA improvements, including the repair or replacement of failed areas in concrete sidewalks. We worked closely with property management to complete the project in accordance with the engineer's plans, as well as adapted to changes made by Garden Grove's board and engineer during the project as the board and engineer. We carefully phased our work at the apartment complex in order to minimize inconvenience to residents and allow resident access during the project, which included reclaiming, regrading and repaving all of the complex's parking areas and driveways. In addition, all existing sidewalks were removed and replaced and old concrete curbing was removed and replaced with new granite curbing. Once the job was underway, we widened the entranceways, per a new client request. We worked with the Highland Meadows developer over an 8-year period. 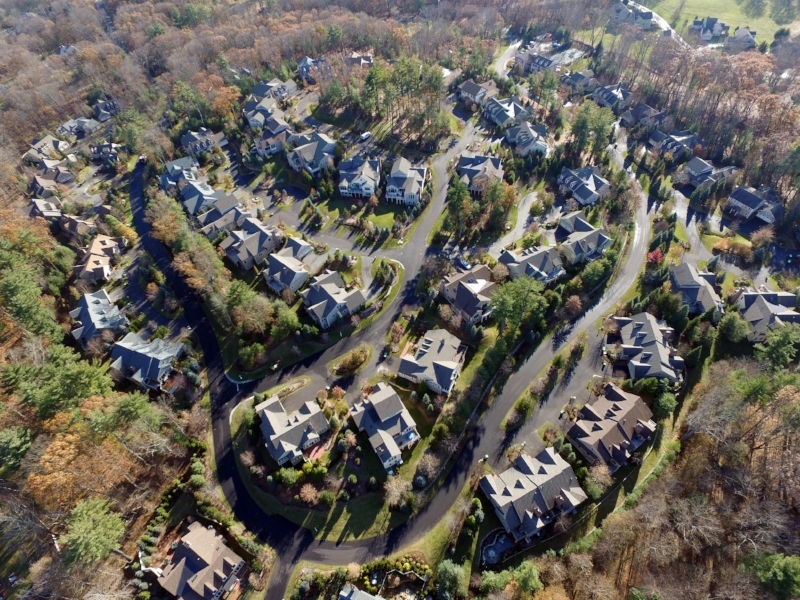 As the developer built and sold homes in the community, we graded and installed pavement in phases as community grew. This included the creation of driveways for each of the 60+ condominium units as well as common roadways and parking areas. The Lazaro team has provided quality commercial paving services to Eastern Massachusetts since 1963. Check out some of our latest commercial paving work. "The entire job was excellent. Great communication and professionalism by everyone at Lazaro. The quality of the work is excellent. I’m very happy."